This guide is only for Android smartphones who has problems with IMEI number on MTK chipsets…. Open the Dialer and type *#*#3646633#*#* you will enter the MTK Engineering Mode or using Mobile Uncle APP Hit the Engineer Mode option and choose the Engineer Mode (MTK). On EngineerMode Chosee Connectivity and click the CDS information option. You will see Radio information there and after tapping on it. If you have dual SIM ANDROID then you will see TWO option select any one on which you want to write IMEI with. Open Chamelephon and fill your original IMEI in these boxes, you can easily find your IMEI numbers after removing battery behind your android phone. 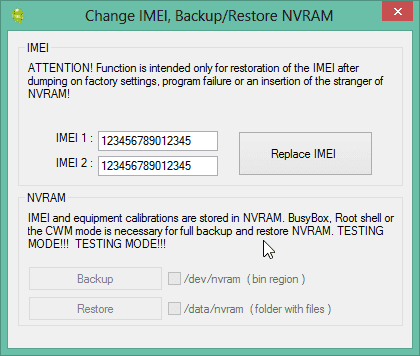 After filling original IMEI numbers in these boxes, just click on “Apply new IMEIs”, after it a popup Confirmation message will appeared “Do you confirm changing the IMEIs”, click on “Change” and after it simply restart your phone, that’s it! now you’re all done your Invalid IMEI problem is solved now, enjoy! Last step, reboot your phone/tablet and DONE! Install Universal USB Driver on the PC with the phone connected; you should get a message saying drivers installed successfully. 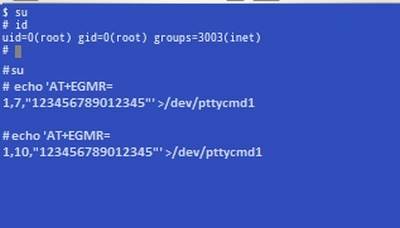 Next you need to click the ROOT button so that it will temporary have Root shell access on your phone in order for it to make the script work on the background. Put your 15 Digits IMEI Number that you can get at the back of your phone inside not the back cover if you have 2 IMEI you need to put that. 1st Method worked Perfectly fr me.. In the third method, when connecting the phone should be in fast boot mode? or connecting it normally turned on? Superb! Method 1 also works for me! Thanks buddy! I dont have to go to technician and pay much… This epic post really help me with lost imei! Super thanks! I lost both imei numbers and the above command worked for me. Hi,method 1 & 2 not working for my lenovo a807. .but i will try method 3 and how it goes? Can you tell me method for Huawei Kirin devices through engineering mode or any other simple method? for android having invalid emei just download chamelephon at playstore..it only working for android root…. Thank you… tried with first option – mobile uncle app but not able to fix the issue. But through this app found another app called ToolHero which helps me to fix the IMEI issue within 15 seconds. Thank you once again for the guidance.